Bradford UNESCO City of Film, will this evening (Wed) reveal China’s fascination with the works of the Brontë sisters and the growing relationship between British and Chinese film, including plans for a contemporary re-telling of Charlotte Brontë’s novel, Jane Eyre. 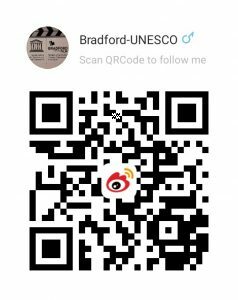 Bradford UNESCO City of Film will share how they’ve been working with Chinese film producers and partners including theBrontë Parsonage Museum to explore how to re-work the text into a contemporary script suitable for a modern global audience. The British Library will participate in this evening’s event, sharing material and its Chinese online learning resource Discovering Literature from its ambitious three-year-project The British Library in China: connecting through culture and learning. Over the last two years, this ground-breaking international collaboration has brought literary treasures, including the original manuscript fair copy of Jane Eyre, to China for the first time. The film project is in its early stages but it’s hoped the film could be shot in Qingdao, China and Bradford District taking in all the famous Brontë landmarks including the Parsonage in Haworth where the sisters lived. The presentation which will be in Chinese as well as English is one of the Science Museum’s Lates events, themed around China to celebrate the Chinese New Year. Jane Eyre is hugely popular in China and has been since a first abridged version of the story was published in 1925 in Shanghai. Since then there have been numerous adaptations of the classic story in books, operas, plays and films, with the novel also being a staple text in schools across China. Since Jane Eyre’s arrival in China almost one hundred years ago, there have been many readings of the complex novel – from feminist manifesto to a history of colonialism – and the fascination for the story continues to grow. The interest in this very British story of a governess who marries her brooding employer, Mr Rochester, reflects a wider captivation with the Brontë sisters’ themselves, as women writing in a period when few penned novels. The Brontë family moved to Haworth in 1820 when their father, Patrick became a clergyman for the local church. Their mother, Maria tragically died of cancer the following year. Death and tragedy remained a constant theme throughout the short lives of the sisters, with their father outliving them all to the ripe old age of 84. It was in Haworth in the beautifully bleak surroundings of the moors that the siblings developed their passion for writing, publishing their work under male pseudonyms. 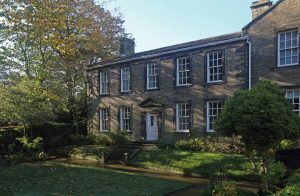 The sisters lived at the Bronte Parsonage for the rest of their lives and the building is now a museum dedicated to the lives and works of this remarkable family. Little more than fifty years after Charlotte died, an emerging film and cinema industry was looking for powerful stories to attract audiences to the silver screen. It found them in Haworth. The first film adaptation of Jane Eyre was an Italian silent film in 1909 followed in 1920 by an adaptation of Wuthering Heights. 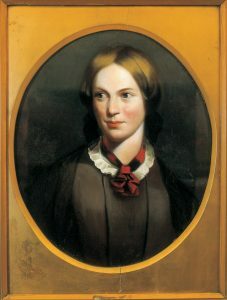 Five years later, Charlotte Brontë was to make her mark in China with an abridged version of Jane Eyre, shortly followed by versions of Villette and her sister Emily’s novel, Wuthering Heights. Several more translations and adaptations have followed throughout the decades. It was the 1970 TV adaptation of Jane Eyre , starring Susannah York and George C Scott, which was dubbed into Chinese but not aired publicly until 1979 that was greeted enthusiastically by audiences and national newspapers in China, fuelling more interest in the story. The huge enthusiasm from film producers in current talks with Bradford UNESCO City of Film suggests that the market is ripe for another re-telling of the story in a cinematic but very contemporary way.